Bronte Waterfalls01535 642329work Waterfall or GorgeDiscover the inspiration for Wuthering Heights by taking a walk to Top Withens. Details of the route can be found at Haworth Visitor Information Centre. The walk takes in the Bronte Waterfalls and the Bronte Bridge, considered to be one of the Bronte sisters' favourite places. The impressive waterfalls are best seen after heavy rainfall. 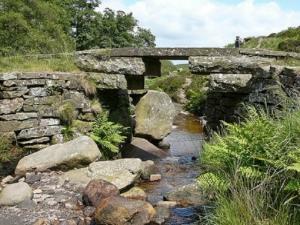 Discover the inspiration for Wuthering Heights by taking a walk to Top Withens. Details of the route can be found at Haworth Visitor Information Centre.